Good quality soft lights are essential in any cinematographers toolkit, but have always been expensive to buy and something most of us could only ever rent. But those times are over! These 7 LED Soft Lights will change the way you can light low budget projects as each of them costs under $1500. Since the dawn of digital cinematography, I’ve always been a fan of soft lighting. It’s often the magic ingredient that makes the difference between digital or cinematic looking images and skin tones. 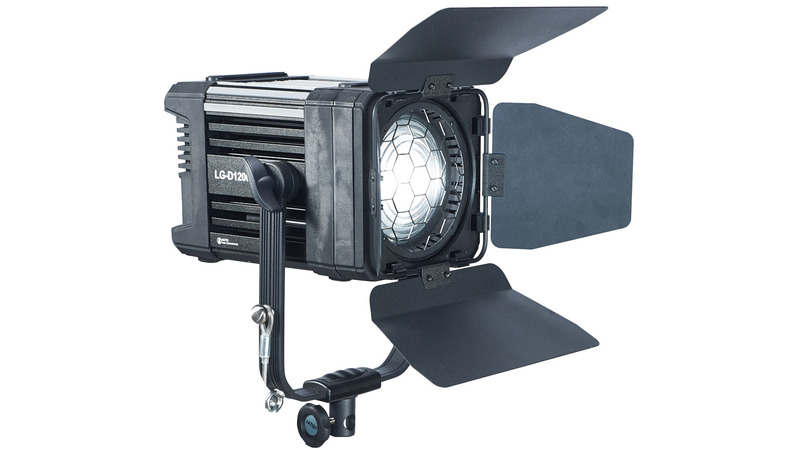 Regardless of your lighting style, good lights are essential when you’re on set and fortunately, with the arrival of high output LED’s, the times when quality soft lights were unaffordable are over! I need to make one thing clear upfront: I see many people use different LED lights to light all kinds of scenes and subjects, without a clear intention of size, shape and softness of the light source. Often there’s a 1×1 LED in people’s kits and it is used to light interviews, close-ups, wide shots, different skin types and other elements too, regardless of the purpose of the shot. If you went to film school, you probably learned how in an ideal scenario every scene and every shot requires a different light to paint your intention into the frame. Unfortunately, for the longest time many of us couldn’t afford anything other than a 1×1 or a weak tungsten light with a small soft box on the front, so we had to make do with that. When the budget allows, my first act of duty is to rent a quality soft light to add to my kit. This is often an Arri HMI with a Chimera or a Dedo Kit, with varying output and size depending on the scene in question. 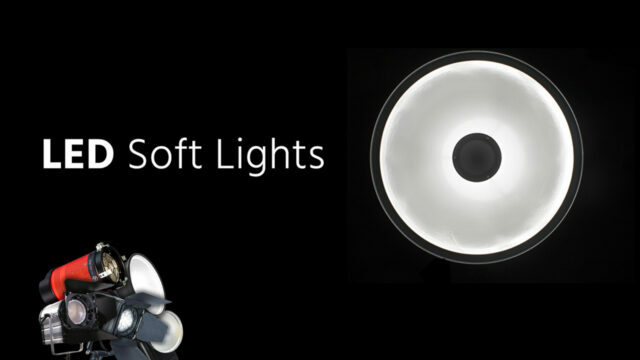 But I never got around to actually buying a soft light myself as the investment was too great. 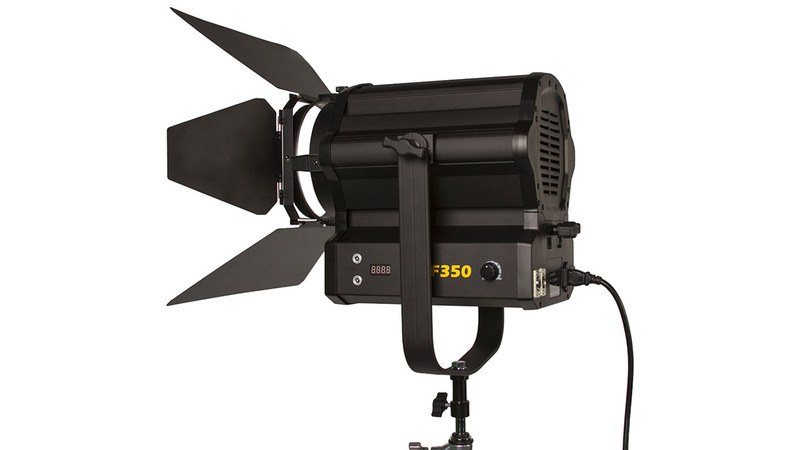 A proper HMI soft light like this costs upwards of $6,000. 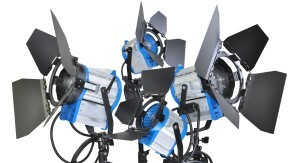 In recent years, we’ve been closely observing the evolution of LED lights here at cinema5D. For some reason everybody manufactured them without a soft box or soft surface in mind. For years there were hundreds of 1×1 panels that created ugly multi-shadows and unnatural looking skin. At the beginning, they had very bad color rendition ratings too. These days, LED technology is finally at a point where LED soft lights can actually replace expensive HMIs in terms of quality and light output, at a lower weight, lower power consumption and, most importantly, lower cost. The leaders in professional lighting solutions have taken note of this new trend and have adapted their technologies accordingly, with proper LED soft light fixtures finally making their appearance. For example, Dedolight has announced the introduction of a 500W LED version of their popular Panaura soft lights and they call it “Ledraptor”, certainly a rental light to look forward to! We have worked with this light on numerous occasions. It is currently part of our kit and it has held up very well. 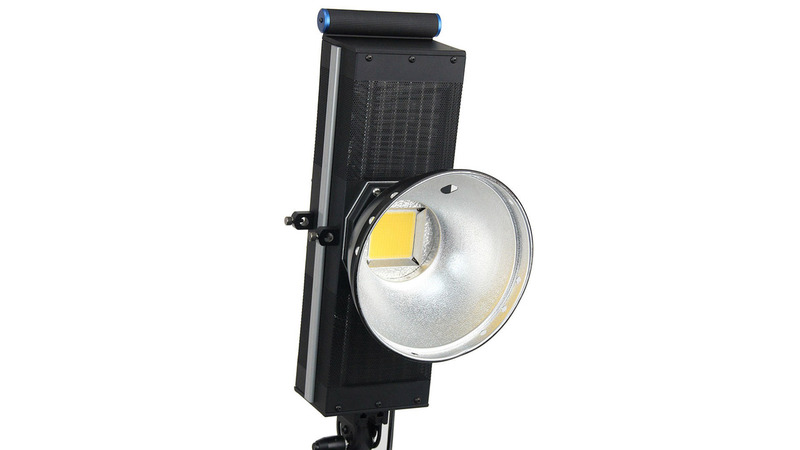 This light by ALZO Video is the successor to the popular ALZO 3200, also sold as RPS CoolLED, which was considered unreliable by many, had a lower CRI value and created some considerable fan noise which wasn’t ideal for video. The ALZO Low Noise Version seems to have fixed those problems to a certain extent, but there have been very few reviews of the product out there. Our unit works well, the fan noise is acceptable, but our only concern is that the soft box by ALZO does not lock well to the Bowens mount. You can combine this light with any softbox with a traditional Bowens mount, like the Westcott RapidBox, which is very handy. Alternatively, you can use the more affordable ALZO Square Box. 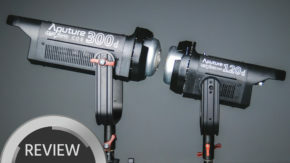 This model by Aputure is also part of the cinema5D lighting kit. It is lighter and smaller than the ALZO 3200 LN, so it is useful for using it on the go. The downside is that the output is a lot weaker, and is a tungsten light (why?). The build quality seems very good, and it can also run off a V-mount battery. For documentary or small crew shoots without daylight (evening or indoors) this could be a great solution. You could equip this with a Westcott beauty dish or any other Bowens mount softbox. The spread is not ideal, but the light quality and color are really good. If you have smaller subjects or close-ups, what makes sense is a smaller soft light with a traditional LED array. 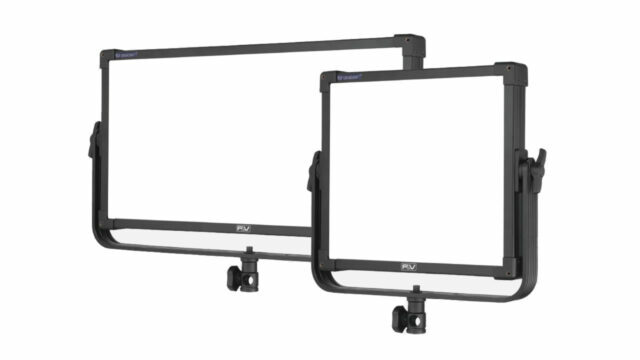 We looked at the F&V Ultra Soft Z400S at this year’s NAB and they are available as 1×1 and 1×2 sized LED soft lights with a plain soft front surface. The CRI ratings are exceptional and the bi-color tuning is handy. At around $1,000, they are still reasonably priced for the kind of performance they offer. Of course, these lights are not as powerful as an HMI or the ALZO 3200, but they are easier to carry around and use, and should be strong enough if you need a smaller-sized soft light. They would definitely make a great addition to the ALZO in a budget kit. The price of the 1×2 has not yet been announced. I would say the Arri L7 is in a different class in terms of the company’s target market. But the RAYZR still looks like it would rock as an affordable alternative, and the fact that it is a fresnel makes it even more interesting. 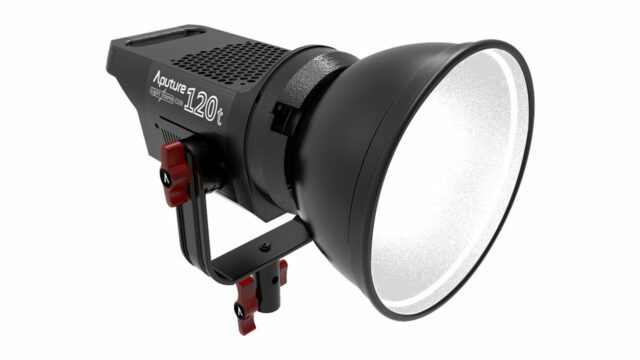 Unfortunately, this light isn’t cheap: you’ll have to put $1000 bucks on the table just for the 100W version. Although this is the most affordable model, the output seems too weak to make any sense at all: the 200 and 300 watt versions are probably more suited as LED soft lights and worth the extra investment. Only the 100W and 300 watt versions are currently available on Amazon. It looks like it uses the same 7″ diameter barndoor mount as the Arri L7, so you could presumably mount a Video Pro Softbox with a speedring, or look for another similar barndoor softbox for fresnel lights. I did not find a cheaper softbox solution, but maybe you will. In order to use this as a soft light you would also require a matching 6″ speedring and softbox. This LED light also caught my attention. Though much smaller and with less output than most others in this list, it has a few practical features, like a battery mount that can be clamped to the tripod, a Bowens mount, a noiseless fan, and a fresnel lens that can be refocused. Furthermore, the color seems to be quite accurate. Though relatively weak, this could be a good light for smaller subjects and close-ups. Unfortunately, this one doesn’t seem to be available in the US just yet, only in Europe for now. There is also a larger 300W version, but it’s a lot more expensive. 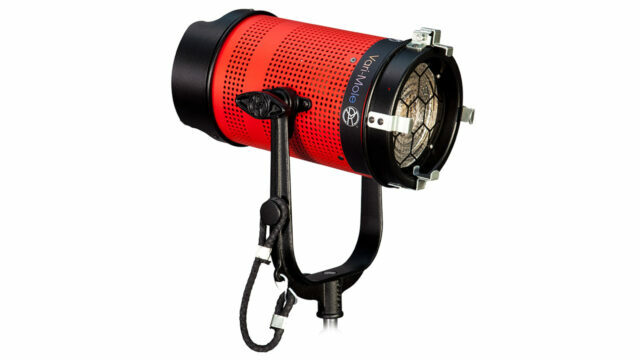 The light comes with a removable Bowens mount that the fresnel is attached to. This is actually a very clever solution that easily turns the fresnel into an LED soft light, and you could attach any Bowens mount softbox. It looks like this is the one they used in the video review, but I can’t be sure as they all look the same. 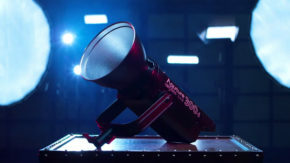 Light Cannon – 485 Watts! Now we’re talking. Even though it doesn’t get much more cheesy than “Intellytech” when it comes to name choices, the power consumption of this light reveals some monster output performance that’s worth a second look. 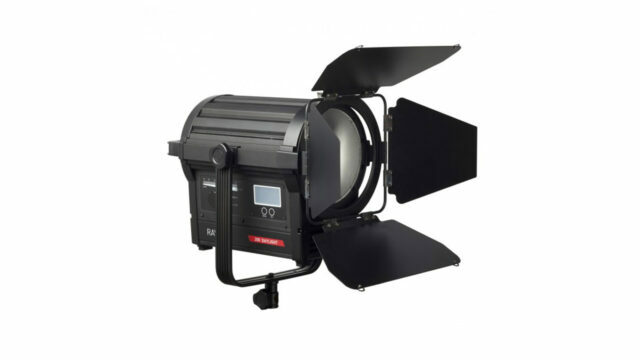 At $1399 for the daylight version and $1499 for the bi-color version this is the most powerful high CRI LED lamp we could find in this price-range. It even has DMX controls and apparently the fan noise can be avoided when running the lamp at 50%. 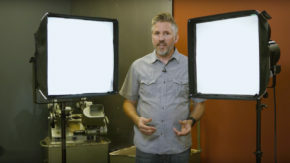 The reviewer used a dedicated Intellytech softbox on one of his lights, which he mentions cost $150. Unfortunately, I did not find this softbox on the internet and hope to get a reply from the manufacturer soon. This original Intellytech softbox used in the review is available HERE. By the way, there is also a 300W version for $999 and a 165W version for $749. Might be worth a look, but certainly the 485W version is the one that intrigues me the most. I would love to try this light. 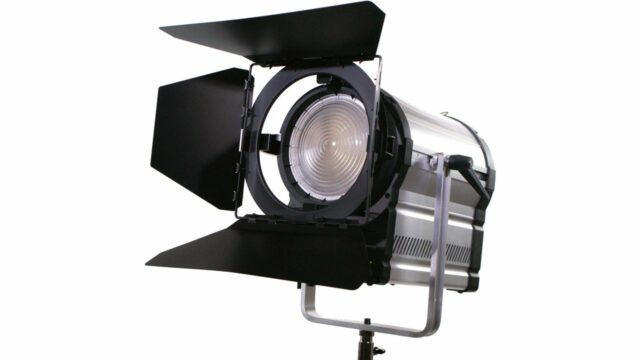 Of course I could also mention LED lights like Mole-Richardson’s Varimole, the Kinotehnik Practilite or Fiilex P360EX. 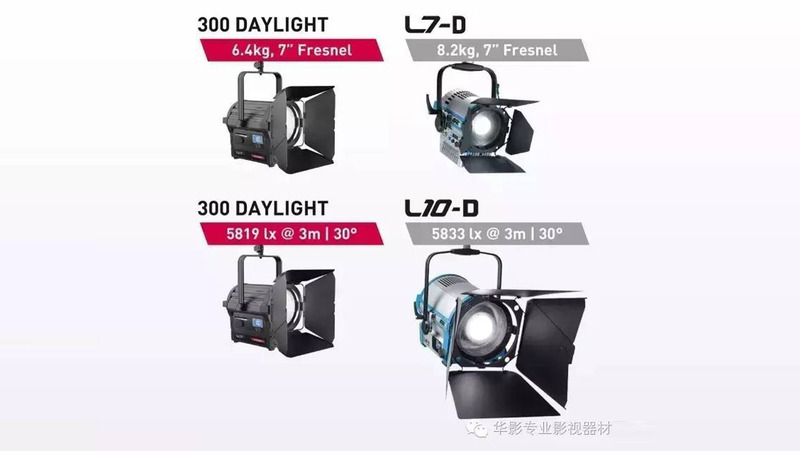 They all have good color accuracy, are bi-color with fresnel heads and cost below $1000, but they did not make this list as they have too little power output to work as a practical soft light in my opinion. If less output is fine for you, go for it! I did not mention lights with a CRI below 93 either. Hopefully this article was useful to you. If you have experience with one of the lights, let us know your thoughts in the comments. And if you are aware of any other new lights on the market that follow the criteria of this article, feel free to share those as well. Are the reported light output from your own measurements or quoted from the manufacturer? Yes it is according to manufacturer quotes. I would recommend to go by Watt draw, as this will give a more clear understanding of how much light is output in a softlight. A light that has “less output than most others in this list” has 11790 lux @ 1 meter? The reason for this is the spread. I rated the power output according to Watt power draw of the lights. The lux is different because they are only measured on a single point in front of the light. If the light has a larger beam the lux will be less, if the light has a fresnel lens and is focused then the lux is a lot higher.